How many times will you sing or hear the “Star-Spangled Banner” this weekend? Our national anthem commemorates the Battle of Fort McHenry in 1812. 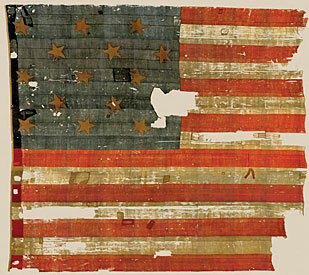 The flag it describes is an iconic artifact of our shared history, preserved for the nation by the Smithsonian museum. But it’s missing a star. Across the century that the flag was in private ownership, several bits of fabric were snipped from it as mementos, including one of the 15 stars. That was hacked from the middle of the flag—the twelfth star, counting from the top. I wonder where it went. What happened to the fifteenth star? Maybe that missing star can serve as a metaphor not only for what we can celebrate but also for what we are still seeking. This Independence Day is an opportunity to honor our amazing country—but it’s also a chance to be a little more thoughtful about our history and the costs of the freedoms we enjoy. To seek to live and teach the values that has made democracy great. To be attentive to ways in which we can live up to the promise of our Declaration of Independence. 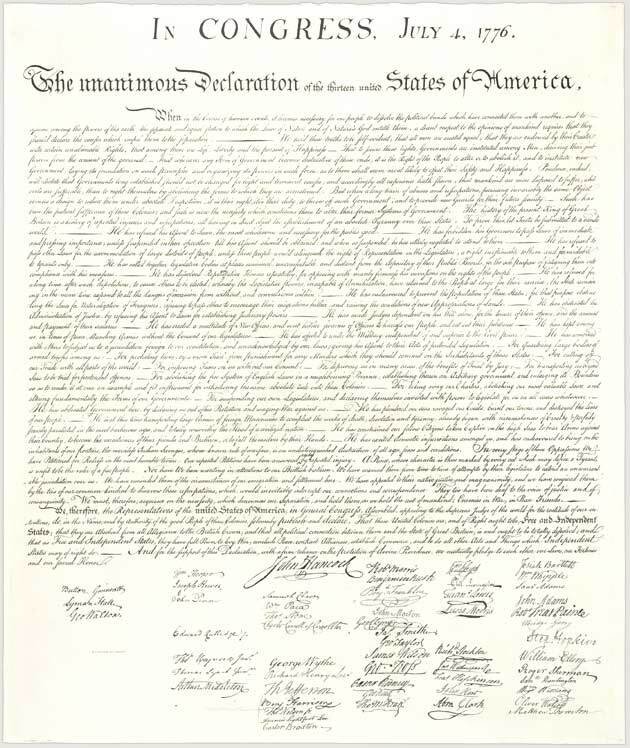 “We hold these truths to be self-evident, that all men are created equal, that they are endowed by their Creator with certain unalienable Rights, that among these are Life, Liberty and the pursuit of Happiness.” That’s how the Declaration puts it—and until those words have real meaning, for all of us in the United States, there is a star still missing from the Star-Spangled Banner. This weekend, let’s reach for that missing star. As we celebrate our Independence Day with parades and ceremonies and family gatherings, there is still room for us to be better people and a stronger democracy. May all of us seek to restore the missing star as we honor America this Fourth of July.